I was never the type of person who had to worry about having a bad reaction to skincare and makeup. However, as I've gotten older my skin and body have changed and now my skin is much more sensitive to certain ingredients in products. A few years ago, my skin started freaking out and I couldn't figure out what it was. I was having a bad reaction to something I was applying under my eyes -- or at least around my eye area because it was the only place on my face that was affected. My under eyes would blow up, get very puffy, dry and itchy and just look really bad. I thought it was dry skin and tried all different types of products for that particular issue. Things would work for a week or so and then the reaction would come back. I finally went to the dermatologist and the minute she saw my face she knew it was an allergic reaction to fragrance. After that, I stopped wearing perfume and using products with fragrance in it. I've slowly introduced perfume back into my routine (only using rollerballs so that the scent is being sprayed all over me) and I've gotten better about knowing what will give me bad reactions. Now, though, my skin reacts crazily to all different products, even those without fragrance. It happens the most with lip products and I know the moment I apply a lip product to my lips if I'll have a bad reaction or not. Because of all that, I decided it would be a good idea to write a blog post to inform you that if you have sensitive skin, some of these products might not work well for you. 1. Drunk Elephant Lippie Balm: I had finally taken the plunge and purchase this lip balm from Drunk Elephant, desperate for something else from the brand to try. Well, I knew the minute I applied this to my lips that it was not going to end well. The next day, my mouth was all red, dry and chapped and just incredibly itchy. That's my signal for 'do not use this'. I tried it a few more times to be sure but something in this lip balm did not agree with me. 2. Charlotte Tilbury Magic Eye Rescue: I talked about how much I liked this expensive eye cream in the past and then one day, my skin rejected it. I hadn't had an allergic reaction like that in a while but after a few nights in a row using this, my eyes puffed up and were very dry and cracked. I think it might've been a slight fragrance or maybe the product went bad, but honestly, I'm not sure. All I know is that it was NOT a pretty sight. 3. Laneige Lip Mask: When this came to Sephora last year, everyone was going nuts over it. People are still going nuts over it now and I'm so sad that I can't use it. I used this for a solid month or so before it started giving me problems and it was great! I was thrilled that I had finally found something that moisturized my lips all night long and made such a difference. After a few weeks, I woke up one morning and my lips were huge! 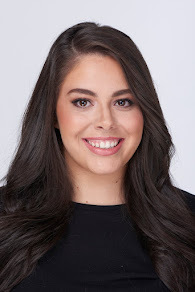 I looked like I had gotten lip injections and it was insane. I tried a few more times and it was the same result. As much as I loved this, it had to go back to Sephora. 4. FAB Kona Stick: Eye depuffing rollers have always been a hit or miss for me because they all irritate me. I figured something from First Aid Beauty would be good because they are fragrance-free and always save the day for me. However, this was not a good choice on my part. It wasn't as severe as other reactions but my eyes started to get really red and itchy after a week or so of use. I decided to not take any chances and just return it. A great eye depuffer that has not given me any problems is the Physicians Formula one. It's amazing! 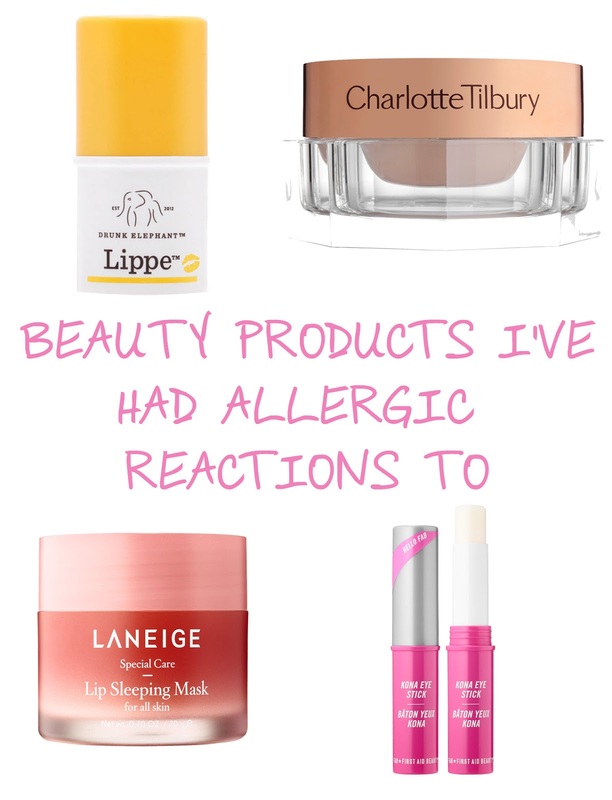 What are the beauty products that you've had allergic reactions too?